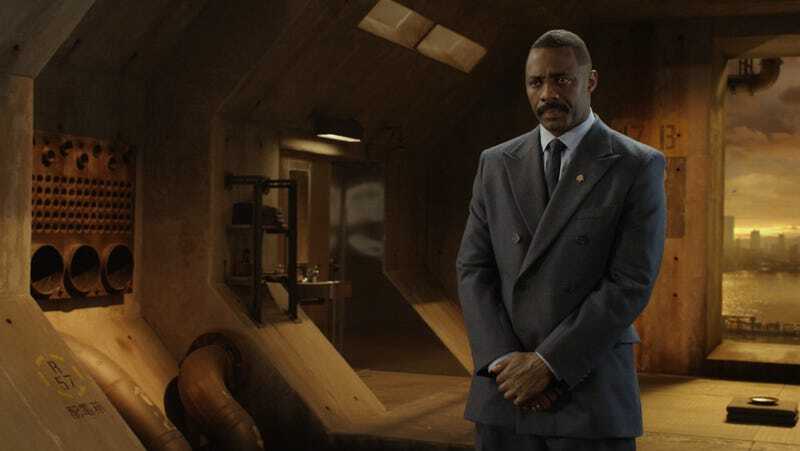 Cancel the apocalypse, Idris Elba has signed on for another sci-fi film. It’s only day one and Idris Elba is already having quite the February. He was just revealed to be some kind of supervillain in the new Fast and Furious movie, and now he’s in talks for yet another big-time action film with a sci-fi twist. The Hollywood Reporter broke the news that Elba is in talks to star in MGM’s Deeper, a film written by Max Landis (Bright), produced by David Goyer (Man of Steel), and directed by Baltasar Kormákur (Everest, 2 Guns). Elba would play a disgraced astronaut recruited to explore a newly discovered ocean trench, which is possibly the lowest place on Earth. Down there, he encounters something bad and possibly from outer space. If that sounds familiar it’s because Landis sold the script four years ago and, at one point, Bradley Cooper was going to play the astronaut and Gal Gadot was attached as well. That fell apart, but now, with Kormákur directing, the film is born again. Beyond that, obviously, the name “Max Landis” brings with it lots of baggage, the most prominent piece being allegations of sexual assault in 2017. You couldn’t blame someone for feeling a little down on the project because of that. The fact is though he sold the script in 2015, well before those allegations surfaced. MGM owns the script and it’s possible Landis is no longer involved outside of that. Plus, it’s a really cool idea for a movie—cool enough that MGM paid seven figures for it. It’s easy to understand wanting to follow through with that investment, and casting Elba in what sounds like kind of an underwater Gravity-meets-Martian-ish sci-fi thriller is an awesome move. Maybe the movie will turn out that way too. The busy Elba will next be seen in that aforementioned Fast and Furious film, Hobbs and Shaw, followed by...*checks notes*...Cats.